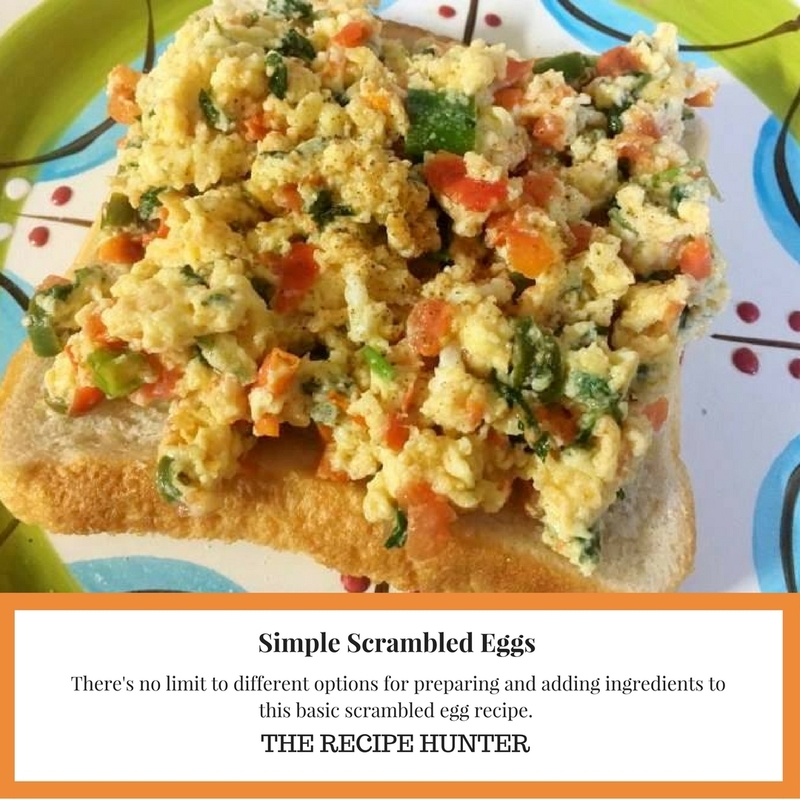 There’s no limit to different options for preparing and adding ingredients to this basic scrambled egg recipe. 2 spring onions, roughly chopped. 4 cherry tomatoes, roughly chopped. 1 green chili, roughly chopped. A handful of chives, chopped. A handful of roughly chopped coriander. Whisk the eggs with some milk and set aside. Add the chopped tomatoes, bacon bits, spring onions, chili, chives, and coriander. Allow cooking on a medium heat until the tomatoes are soft. Pour in the whisked egg and using your fork, stir gently until cooked and season generously. Makes a perfect quick and nourishing meal! Bacon will almost anything can ony make it better.